Downpour is shaping up to be a polished return to the classic survival horror formula. 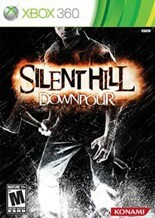 Konami's new Silent Hill Downpour trailer is lengthy and loaded with spoilers. The demo at the Konami booth of this year’s E3 2011 featured the same areas we've seen before, but I actually got to play the game this time. make up a portion of the inspiration they’re surrounded by.